At the WorldMark Clear Lake resort in Nice, California, families can enjoy a beautiful resort with all the fun activities that go with spending time at the lake. The units at the resort are equipped with everything you could need for a great vacation. The WorldMark Clear Lake resort grounds have many fun things to see and do, including some activities to keep the kids occupied. The Clear Lake area has many outdoor attractions along with some fun things to see in the local towns. If you're looking to vacation at WorldMark Clear Lake, a timeshare resale can be a great option. Premiere Timeshare Resale can help you find the vacation lodging that's right for your family. The WorldMark Clear Lake resort has units that are equipped with everything you need to have a relaxing vacation. There are several different options including: studio, two bedroom, three bedroom or even penthouse units. Some units have Murphy beds for extra sleeping space if needed. To keep everyone entertained while spending some time indoors, each unit has cable TV, DVD player and stereo with CD player. Internet access is also available. Every unit has an outdoor space in the form of a terrace or balcony with a BBQ grill. Gas fireplaces are also in the units to keep you toasty on cool nights. For your convenience units have a washer and dryer, hair dryer and irons with ironing board. 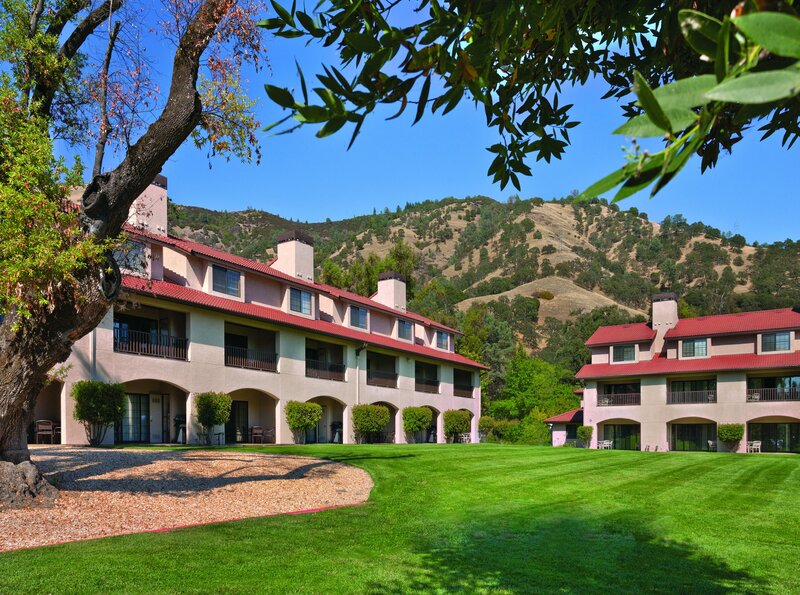 At WorldMark Clear Lake you are surrounded by the beautiful rural California mountains. The grounds have many fun activities including an outdoor pool, children's play area and arcade games. If you don't want to get out to the grocery store yourself, the resort actually offers a grocery service which is great if you get in late and are just to tired to shop. The resort also has a boat launch with limited boat parking. A fitness center and game room can be found on the property as well. If you're the outdoorsy type, you won't lack for things to do around the WorldMark Clear Lake resort. There are endless lake activities including: boating, fishing, water skiing, or just laying on the lake shore basking in the sun. You can also check out the local hiking and biking trails or even try a soaring glider ride in nearby Middletown. The famous Old Faithful Geyser and Petrified Forest are two natural wonders not to be missed and both are a short drive away from the resort. There are many WorldMark Clear Lake timeshare resales up for sale. Premiere Timeshare Resale can those looking to buy a timeshare resale. Perhaps you'd be interested in a WorldMark Clear Lake fractional ownership which allows you to share some of the costs and responsibilities with other owners. Vacations can be pricey but Premiere Timeshare Resale can help you find a deal on a WorldMark Clear Lake timeshare. Those looking to sell their WorldMark Clear Lake timeshare can also get help from Premiere Timeshare Resale in the selling process. Contact us and let us help you with your timeshare resale needs.